Today, advanced cyber attacks are the weapon of choice for organized criminal enterprises and nation-states. The fundamental security tools are no longer enough. 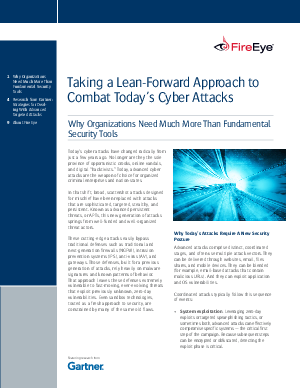 Protect your organization by starting here with this whitepaper.